Hi everyone! Hope you had a great summer. We certainly did. 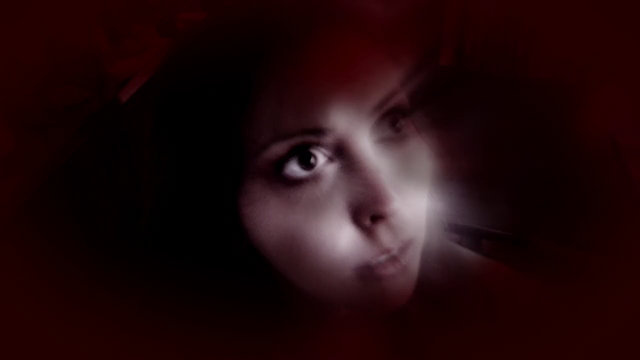 Actress Tiffany Hodges is still terrorized during our ghost camera tests. Visual Effects Supervisor Lucien Harriot of Mechanism Digital worked hard with his crew to come up with an iconic look for what our ghost sees as it terrorizes our characters. As wonderful as the still of Tiffany Hodges is, it doesn’t do justice to the one minute and twenty second sequence which we are keeping under wraps so as not to give away what is now our trade secret. We are proud of our friend, Producer Anthony Vorhies. Since the spring, he completed two full feature films, an Alicia Keyes video, a commercial for Andrew Lloyd Webber’s latest musical in NY, and now he is on a three month shoot in Curacao! We wish him all the best and hope he will be available to help us at a later date. Meanwhile this week, I will be meeting with our Producer David Herman to finalize our budget, so we can make offers for Casting Director Donna McKenna to take to our actors. It is our hope to be shooting either before Halloween (how appropriate) or just after, but definitely not past Thanksgiving. Without giving away too much, here are some storyboard pictures.